While Sunday's closing ceremony may bring the Summer Olympics to a close, there's still plenty of incredible sporting feats set to take place in Rio de Janeiro over the next month. The 2016 Paralympic Games begins in September and promises to introduce the world to a whole new group of inspiring athletes looking to capture gold in Rio. 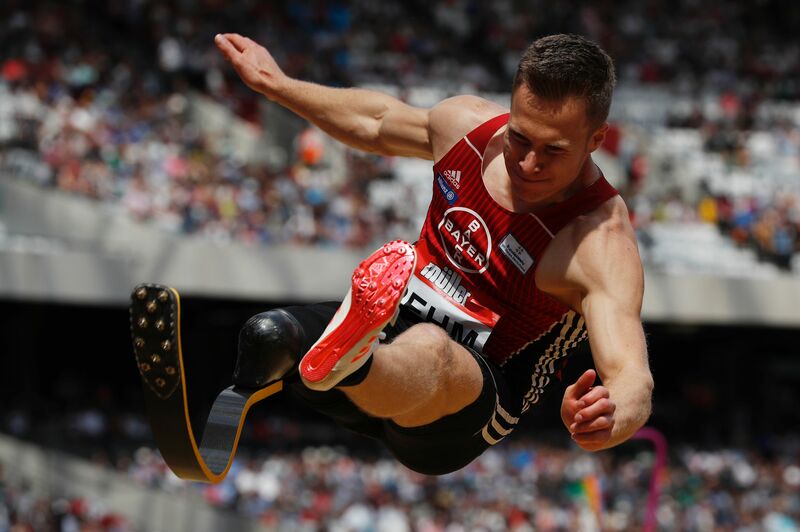 The decision to add two new sports to the Paralympic Games this year also ensures there'll be plenty of impressive feats of athletic ability. Canoe sprint and triathlon will make their Paralympic debut in Rio after being added to the roster of sports set to be included in the 2016 Games by the International Paralympic Committee (IPC) during a governing board meeting held back in 2010. While other sports were also up for consideration, including badminton, golf, powerchair football, taekwondo, and basketball for athletes with learning disabilities, only canoe sprint and triathlon were recommended to the board for inclusion in the Paralympic Games, the BBC reported. In the canoe sprint, a total of 60 para-athletes, divided by gender and also functional ability, will compete in six 200-meter sprint-style events (men participate in three medal events and women in another three). All of the canoe sprint events are set to be held on Rio's Lagoa Rodrigo de Freitas in kayaks modified to suit the functional abilities of the individual athletes. In triathlon, athletes push their physical and mental endurance to the limit by swimming, cycling, and running their way to gold. The triathlon event consists of a 750-meter swim in open water, a 20-kilometer bike race, and a 5-kilometer run. All three segments of the race are completed one after the other with the athlete finishing in the shortest amount of time declared the winner. All of the triathlon division events will be held at Fort Copacabana at Copacabana Beach. With the inclusion of canoe sprint and triathlon this year, the roster of official Paralympic sports grows to 23. Rowing, the last sport to be added to the Paralympic Games prior to the IPC's vote to include canoe sprint and triathlon, made its debut at the 2008 Games in Beijing. Para-athletes from around the world will converge on Rio on Sept. 7 for the beginning of the 2016 Paralympic Games. Their strength, grit, and determination (not to mention their incredible feats of athletic accomplishment) are sure to inspire spectators. While the excitement of the Summer Olympics can sometimes overshadow the Paralympic Games, the event is one not to be missed.